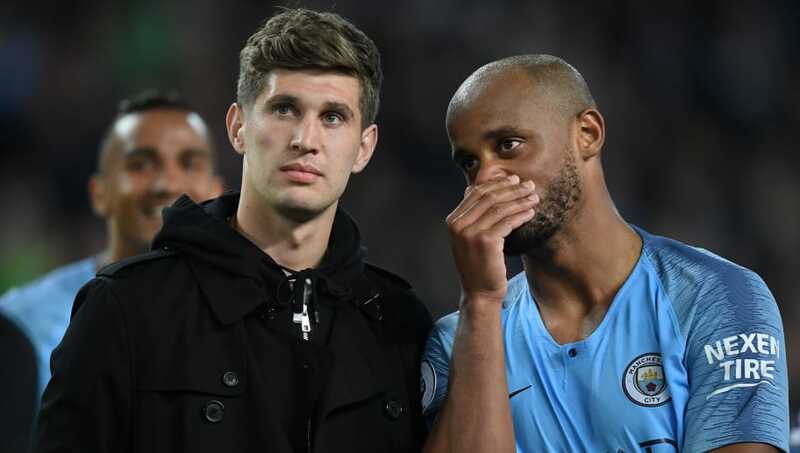 ​Manchester City captain Vincent Kompany has heaped high praise on team-mate John Stones, naming the 24-year-old as the best centre-back he has ever played with. Becoming the world's most expensive defender after his move from Everton in 2016, Stones has blossomed into one of the Premier League's top defenders alongside Kompany. And the experienced Belgian, who has been present for all three of ​City's ​Premier League title wins, said in a Q&A that Stones is the creme de la creme of his central defensive partners over the years. "I've got to give it to ​John Stones in terms of his potential ability mixed with his ability today, and just the things he is able to do on the ball," ​K​ompany said, when asked via ​Sporf to name the best central defender he's ever played with.  @ManCity captain @VincentKompany answers YOUR questions. "I see him evolving as a defender that wins challenges and puts in important headers in the box, scoring goals every now and then. "I think he's the full package, and as much as I've played with so many great centre-backs, I'd have to put him as my first pick. He's earned it." The duo have been able to form a formidable partnership at times, most recently pairing up for the 2-1 win over ​Liverpool that kept City very much in the hunt for a fourth Premier League title.